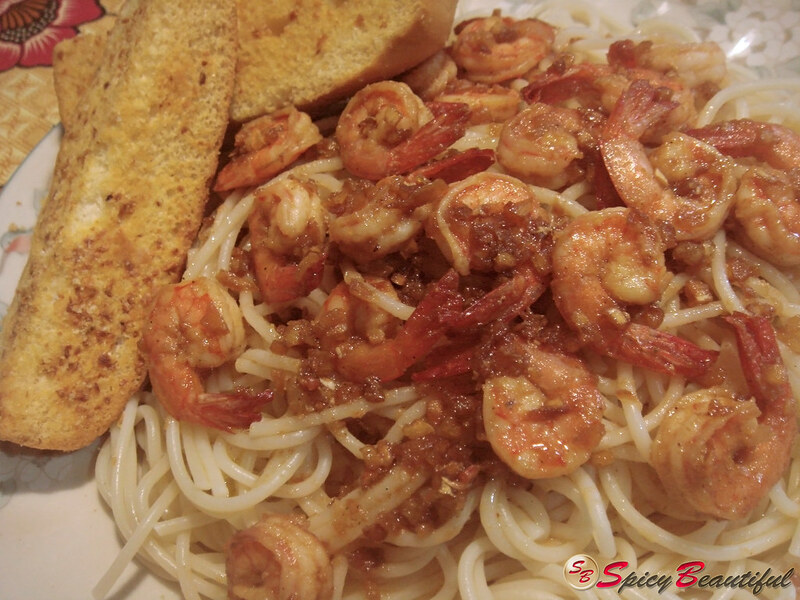 Last Saturday, Zane grilled some shrimps and left me some to make this Spaghetti Aglio Olio recipe. It only needs the basic stuff and cooks in under 30 minutes. Let’s start cooking after this jump, shall we? 1. Cook spaghetti as per package instructions then set aside. 2. Cut the butter into small pieces and melt in a saucepan over medium heat. 3. Once butter is melted, add minced garlic and cook lightly for a few minutes until it turns light golden brown. 4. Add the shrimps and sauté for about 5 minutes or until they curl and turn pink. 5. For that extra zing, sprinkle cayenne pepper and black pepper. Season with salt to taste. 6. Pour the shrimp and garlic butter sauce on top of cooked spaghetti. 7. Serve with garlic sticks. A homey and delicious pasta recipe. I love it. 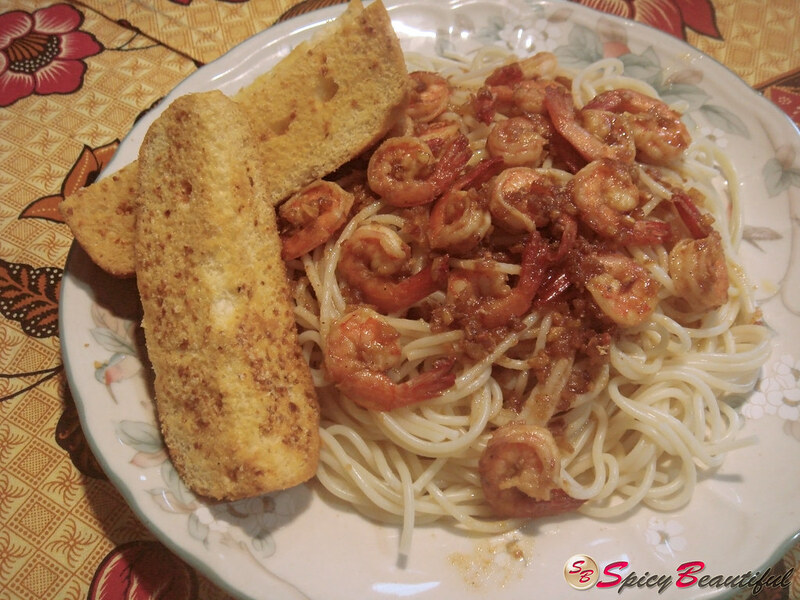 love, love, love garlic shrimp and this is a beautiful marriage of flavors... easy too. I can see why it is a favorite..